This paper first suggests that the paradigms utilised in the study of the Safavid period in Iran (1501-1722) in the West prior to the 1979-80 Iranian Revolution have since been given a new lease on life by scholars in the field, perhaps coincidentally with the distinctly ›Islamic‹ turn quickly taken by that revolution. Now, as prior to the Revolution, ›great men‹ and ›decline‹ are the organising principle(s) of discussions in Safavid studies. These paradigms dominate the field today, even as both the number of scholars active in the study of the period and the number of the field’s sub disciplines have markedly increased in the years since the Revolution. It will then be argued that the more recent recourse to ›empire‹ as an organising principle for discussing the period has, in fact, only reinforced recourse to the above paradigms. As a result the field’s discourse generally heightens a sense of overall Safavid ›exceptionalism‹, as if the period represented a major break with the dynamics of the periods in Iranian history that both preceded and followed. 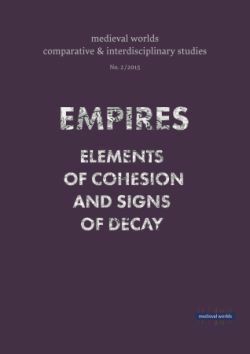 A more dynamic understanding of empire, however, and finally, suggests that the period less marked a radical break either with Iran’s pre-1501 history or with its more recent past and even the present than is conventionally suggested. Keywords: Iran; Islam; Safavids; empire; Shi`ism; decline; theory; Middle East; great man; theory; Iranian Revolution.